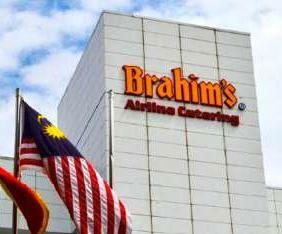 It said this would enable Brahim’s to benefit from using the “Servair” brand and for SIA to tap on Brahim’s halal excellence centre’s halal certification expertise. Zamboecozone is aiming to increase its dealings with food processors who follow the Halal standard, and developing as a transshipment area for their products, and intends to position itself as the center of Halal industries in the Philippines. Chemical Company of Malaysia Berhad (CCMB) confirmed the appointment of Leonard Ariff Abdul Shatar as Group Managing Director effective January 9, 2015. Halal food exports can help stimulate the economy when shipments of other sectors are facing fierce competition in global markets, the Prime Minister said. A new annual conference featuring Thailand’s most prominent halal protagonists is aiming at strengthening the country’s role in the global halal market. Thailand’s economic think tank wants the government to put greater focus on upgrading halal food standards to win acceptance from Muslim countries. Jakim Halal Hub Division director said the Midamar Corporation processing plant is not on the list approved by the Malaysian Veterinary Services Dept. Once again hotels and restaurants in the country are facing a shortage of halal turkey for the Christmas and New Year festivities. Are the Muslims, as a whole, market-worthy of the tag line, the “next BRIC” (Brazil, Russia, India, China and South Africa) opportunity? The event is designed to help upgrade the standards of halal products and services being made in Thailand to cater to the rapidly growing Islamic market. A broadcast network executive has floated the idea of “halal” certification for films and TV shows as a way to allay concerns among a segment of Muslims. When looking for a new segment to launch your brand in there are not many untapped mines left. So, where should you look? The Muslim consumers.